According to the Ministry of rural agriculture, the Beizhen pestilence area in Beizhen, Jinzhou, Liaoning officially lifted the blockade at 0:00 hours. Up to now, most of the epidemic areas in Liaoning Province have been gradually released.Click Here For More. In the second half of 2018, African swine plague appeared in many parts of China. In order to control the epidemic, the transfer of live pigs is restricted. In December 4th, the CPPCC agricultural and Rural Committee held a consultation meeting on the prevention and control of swine plague. Yu Kangzhen, Vice Minister of agriculture and rural affairs, said at the meeting that the epidemic spreading momentum was effectively curbed, and 35 epidemic areas in 8 provinces were released according to the regulations. As of December 3rd, there were 79 pig outbreaks and 2 wild boar outbreaks in 21 provinces across the country. Despite the fact that African swine plague is still taking place, prevention and control is effective and overall controllable. On the other hand, according to the data from pig pig price system of China pig farm, the average price of three yuan in December 5th was 13.87 yuan / kg, up 0.38 yuan / kg compared with last week. 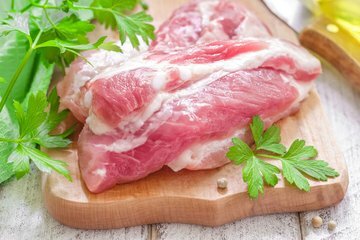 A total of 15 provinces and 31 provinces and municipalities nationwide raised the price of pork. The price of pork in 12 provinces was down, and that in 3 provinces was flat. No statistics were found in 1 provinces. Baocheng futures believe that with the arrival of the peak consumption in winter, the price of pigs will rise, especially in the non epidemic areas. At the same time, it is foreseeable that the current situation of African swine fever is still controllable. After the epidemic, the price of pigs will still rise.